All of the above aside, the execution of everything in the collection is top notch and one could never accuse Penhaligon’s of not doing something unique, which is the whole idea of niche now, isn’t it? So I’ll admit that the collection, which most definitely portrays Penhaligon’s cheeky side and penchant for British eccentricity is quite fun and it’s most definitely not supposed to be taken literally. The Portraits Collection is a bit of a lark and if you like a touch of quirk well, you need to get your noses on these. 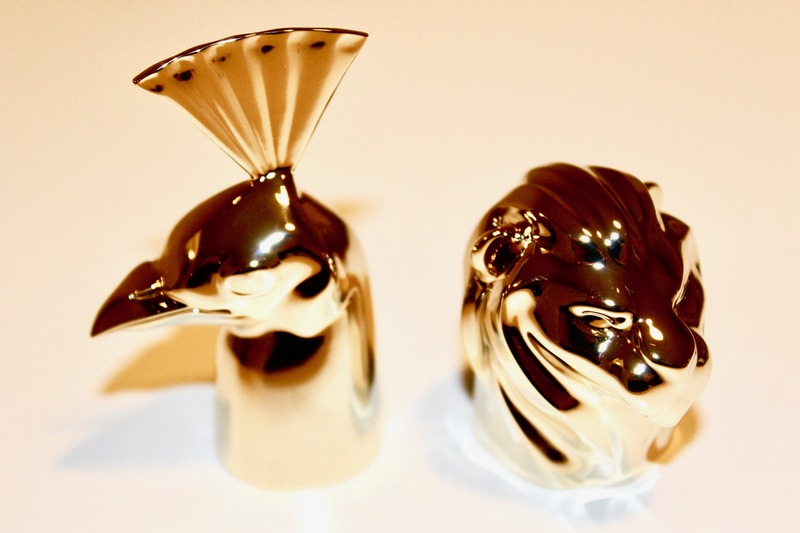 Also, have I mentioned how awesome those animal heads are?! Penhaligon’s have recently launched the second chapter in the Portraits Collection which sees the introduction of two new characters. Can I trust you to keep a secret? Good, well I shall fill you in on all of the gossip with these two. Clara, that’s the beautiful Peahen you see here, well, I heard from a very reputable source, no I can’t tell you who but you know who they are, anyway, I heard that she is having an affair with Lord George, you know Mr Stag, and his wife, Lady Blanche has no idea . I know, it’s scandalous, isn’t it? But that’s not all. No, it gets much juicier and I shall tell you why. Now, you see her son, Radcliff, that handsome lion of a gent? Well, don’t you think that he bears somewhat of a resemblance to the Lord himself? It’s all in the eyes, if you ask me and I don’t want to say that he’s their love child but, oh hell, everybody else is talking about it, so why can’t I? It’s simply scandalous and I know a lot about these two. Do you want me to fill you in on the rest of the details? Rhum Vanilla. Cinnamon Musk. Ambery Patchouli. Clara has always been one that men find difficult to resist. Well, in fact, most people cannot escape her charms. I was out with her the other day and two people, that’s right, two people, commented on how gorgrous she was, right to my face. She’s an attention stealer that one – one to watch because wherever she goes, she is the centre of attnetion. Oh she may play coy, with her soft vanilla tones and pretence that she hates the spotlight, but the generous slug of rum that is with her wherever she goes says otherwise. Well the proof is in the pudding with Radcliff and I literally mean pudding because he’s a scrumptious fellow that one. He’s just like his mother, sharing that vanilla warmth, but he’s much spicier and not quite so tame. In terms of his father well, let’s just say that they both have a thing for a rum every now and then, now I’m not judging, but it’s true, they both have a boozy air to them which tells me that they have no self-control when a tipple is involved. The same can be said for the ladies, or so I’ve heard, and Radcliff’s spicy character certainly suggests that he may know his way around the bedroom. Roaring Radcliff is a clever composition within the Portraits narrative. He really does smell like a mixture of The Tragedy of Lord George (a boozy fougère) and Clandestine Clara, making him a hybrid flanker that really is the olfactory equivalent of a lovechild. In terms of the way he smells, I’d liken him to Tom Ford’s Tobacco Vanille, complete with cherry and chai nuances, but presented in a manner that is more restrained. He may have a lion head but Radcliff chooses to seduce with a reassuring purr rather than a showy roar. Still, he’s a handsome chap, there’s no denying that. 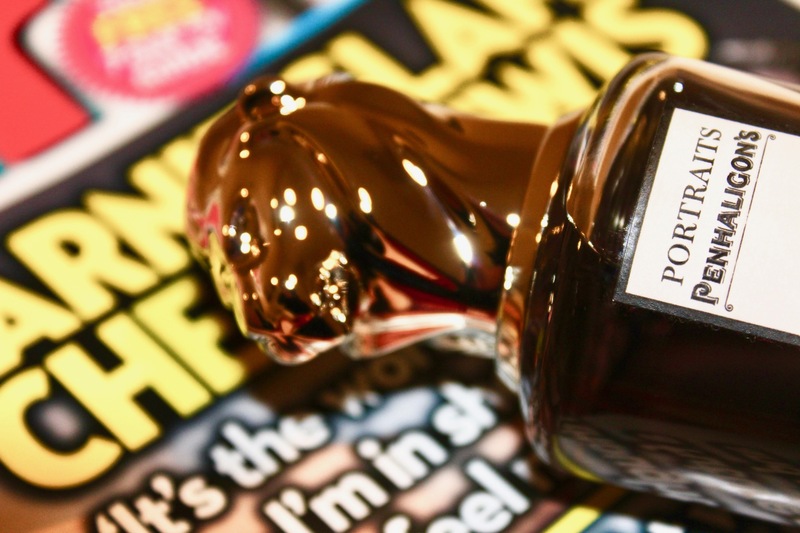 Clandestine Clara and Roaring Radcliff are available in 75ml Eau de Parfum for £178. 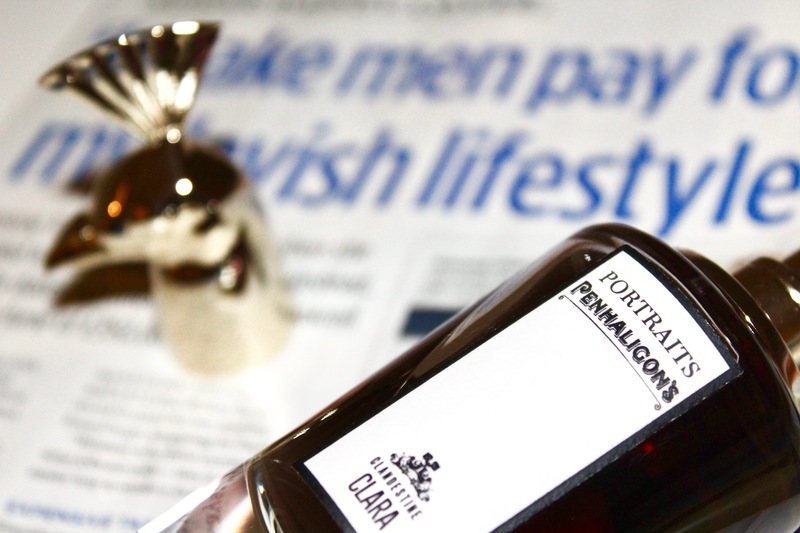 Samples and notes via Penhaligon’s. Images are my own. Posted in Penhaligon's, Perfume Reviews and tagged Clandestine Clara, Fragrance, Penhaligon's, Perfume, Perfume Review, Portraits, Portraits Collection, Review, Roaring Radcliff. Bookmark the permalink.